Big news: Thanks to Jim Horne, the 1942, 1943, 1944, 1945, 1946, 1947, 1948, 1949, 1950, and 1951 proofread puzzles are up on XWord Info, which means all the available pre-Shortzian puzzles are now there and the project is essentially done—appropriately enough, on Will Shortz's birthday! Happy Birthday, Will! I still can't believe we were able to accomplish this feat in just four years (or three years, two months since the project's official start). I'd like to extend a huge thank-you to everyone in the crossword community who helped me accomplish my dream of having all the pre-Shortzian puzzles in a digital format—there's no way this could have happened without all your continuous time, support, and motivation. As a community, we've accomplished something that each of us individually would have dismissed as too challenging and unrealistic, which I think is very special. We've created a resource that will entertain curious minds for years to come, change the way we look at the history of crosswords (and maybe even history itself), and ensure that the names of the exceptionally prolific pre-Shortzian constructors won't just be footnotes in puzzle history. We can now learn lessons from generations of earlier constructors, and we just might find a handful of usable entries for our own puzzles that were previously lost to time. And even if most of the uniquely pre-Shortzian entries are too obscure, it can't hurt to have an extra 52 years of clues to draw from! The uses for the database we've created are only limited by the creativity of the crossword and puzzle community, which I'm convinced is boundless. But perhaps the biggest takeaway from the Pre-Shortzian Puzzle Project is that a whole world of possibilities can become reality through teamwork. If an impractical high school freshman can watch his dream come true one step at a time over the course of four years, who knows what else can be accomplished? Thanks, too, to all the proofreaders, of whom there were far fewer. Proofreading was less appealing to many people, but it was an essential part of this process. I didn't keep a running total of the proofreaders' totals while the proofing was under way because I didn't want people to compete with each other and race through the puzzles. I calculated those totals recently, though, and you can now view them at the bottom of the Litzer & Proofreader Totals page, underneath the "found mistakes" tallies. Special thanks to Mark Diehl, who was not only the Litzing King but also the Proofreading King! Even more amazing, Mark's old-school litzing by hand beat out more technologically advanced (and very impressive!) 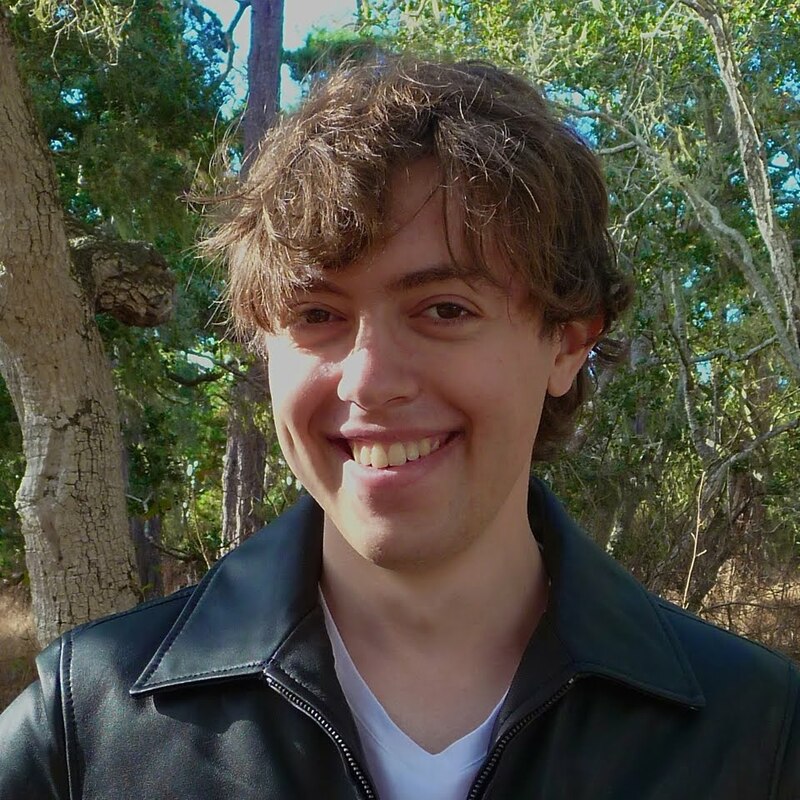 optical character recognition litzing methods—congratulations again, Mark! Thanks, too, to Todd Gross, not only for his litzing and proofreading but also for his painstaking research on pre-Shortzian constructors. Todd's findings have been a major feature of numerous posts and added a richness to what might otherwise be just a list of constructor names. Along the same lines, I'd like to thank all the pre-Shortzian constructors—and friends and relatives of constructors, or simply crossword aficionados—who provided interviews or sent in reminiscences of, or memorabilia from, pre-Shortzian constructors and times. These have been delightfully entertaining and informative, and I hope to add new ones in the future. Special thanks, too, to Barry Haldiman, who gave me the puzzles he and various other people, including project litzer and proofreader Denny Baker, had begun litzing back in 1999. These puzzles got the project off to a running start—thanks again, Barry! Barry also provided much historical context for the litzing and helped tremendously in tracking down copies of puzzles missing from ProQuest on good old-fashioned microfiche. A few other people have offered to help search for the missing puzzles, contacting libraries and even the Times itself to that end. 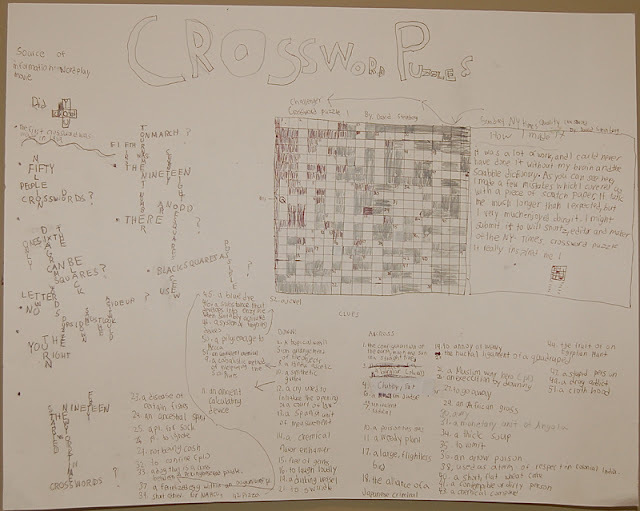 Even though none of these efforts has proved successful so far, they've been great starts and helped rule out a number of formerly promising possible sources—thanks again to all the puzzle detectives! I'd also like to thank everyone who's made a financial donation to the project. Jim Horne was the first, generously giving the project a month of his XWord Info donations, and in the past few years several other people have contributed as well. These donations have been much appreciated and helped pay for prizes and other expenses. A few people have also helped by donating old books and newsletters, which have been exceptionally useful—thanks so much again! I'm still making my way through the newsletters, and I'm always on the lookout for more old books containing the pre-Shortzian daily New York Times puzzles with bylines. I'll be updating the Pre-Shortzian Crossword Books page as soon as time permits, but suffice it to say I'm still missing many of these old volumes, some of which may be the only way we can identify the remaining anonymous constructors. I'd also like to thank the Pre-Shortzian Puzzle Project Advisory Board members, Jim Horne, Stan Newman, and Will Shortz. They've been incredibly helpful over the past few years, and I think it's fair to say that without them, the project simply would not have taken off. Thanks, Jim, for being the best partner in all this that anyone could ever want—XWord Info is a masterpiece, and I'm honored that I've been able to contribute to it in a significant way. Thanks, Stan, for the hundreds of books, newsletters, and, most important, your encyclopedic knowledge and memory of the pre-Shortzian era and people—you've been a tremendous support (not to mention a delightful lunch companion!). 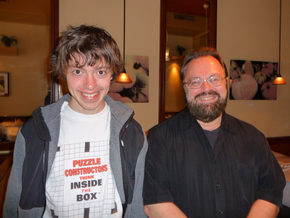 And thanks, Will, for being so generous with your time and advice and allowing me to hunt through your treasure trove of crossword books for constructor names—you are not only the Puzzlemaster but an inspiration, and I hope the project's completion makes your birthday an especially memorable one! Finally, I'd like to give a shoutout to Kristena Bergen (aka my mom, Karen Steinberg). If I wrote about everything she's done to help with the project, Blogger would likely implode, because there would simply be too much! In addition to helping with the PDF downloading, puzzle-packet assembling, litzing, and proofreading, she spent countless hours just helping to keep track of everything, pitching in wherever and whenever needed, and making a final pass through almost all the available pre-Shortzian puzzles before I sent them to XWord Info. Mom never took credit for any of the work she did, but without her this project never would have gotten as far as it did so quickly. On behalf of us all, I'd like to give her a virtual round of applause with a standing ovation! My mom is my hero, and if I can grow up to be a fraction of the person she is, I'll consider myself even more fortunate than I already am. 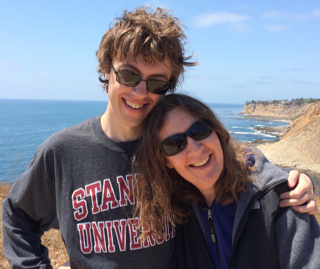 I love you, Mom—it is truly an honor to be your son! Now that there are no more puzzles left to litz, proofread, or look through before sending to XWord Info, you might be wondering what's next for this project. As I mentioned in a previous post, many tasks still remain. 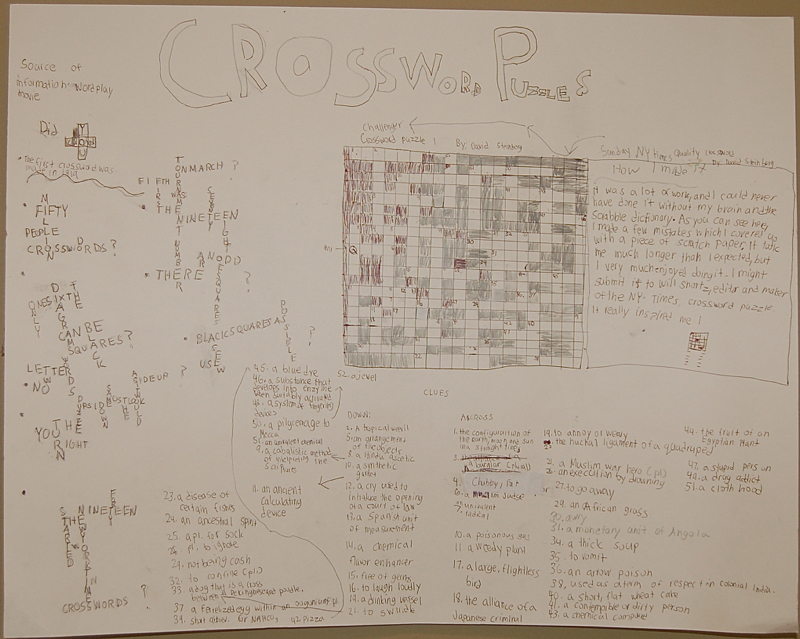 First, the rest of the PS Notes from our litzers and proofreaders need to be entered onto XWord Info. I'll be working on that over these next couple of weeks before heading off to college. 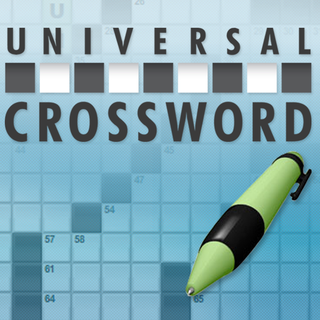 Second, the constructor names on XWord Info need to be standardized and, in some cases, updated. When I was doing research at Will's house last summer, I was able to find the first names of many constructors for whom the only identifying information we had was a last name or a pair of initials. I entered all this data into my spreadsheet but didn't make changes to the actual puzzle files because they were already up on XWord Info and because the focus was on finishing the rest of the puzzles. As for the standardization, Jim Horne has pointed out a number of instances in which the spelling of constructors' names has been inconsistent. Some of the incorrect spellings are simply oversights, but in most cases, different sources (i.e., the Times itself and books of reprinted puzzles) used slight name variations. For example, it's clear that Marian Moeser and Marion Moeser were the same person, yet 22 puzzles are listed on Marian's XWord Info page and 15 on Marion's. When time permits, I'll also be posting information on the project's style guide and editorial decisions, which will clarify how words and punctuation were usually handled. Finally, I'm going to keep trying to hunt down the missing puzzles. I haven't had a lot of success recently, but I haven't lost hope yet! Last but not least, to celebrate the final major milestone of the Pre-Shortzian Puzzle Project, I constructed another 23x23 metapuzzle, "Moving Forward." 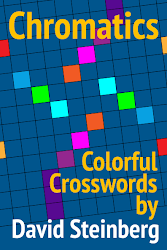 The puzzle, in either Across Lite or PDF format, will be available on XWord Info at 2:00 p.m. Pacific time today from a link I'll insert here—http://www.xwordinfo.com/MovingForward/—and also post on Twitter, Facebook, and Cruciverb. Very important instructions will appear in a notepad in the Across Lite file, so read carefully! Send your answer to preshortzianpuzzleproject at gmail dot com (using the standard format). The deadline for submitting your solution is September 2 at 2:00 p.m. Pacific time. You may only submit one answer, so be sure you're 100% happy with your answer before clicking "Send"! One lucky winner will be chosen at random from the correct solutions. That person will receive a $50 iTunes gift card courtesy of the Pre-Shortzian Puzzle Project! 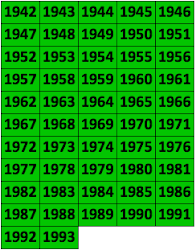 Even though only one solver will receive a prize, everyone who submits a correct answer will have his/her name listed in a wrap-up blog post (unless you tell me you'd rather not have your name appear). Names will be listed in the order in which the correct solutions came in. Have fun—and good luck! 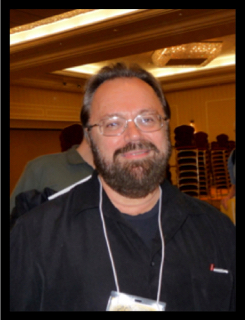 Merl Reagle—an inspiration, friend, and crossword legend in the pre-Shortzian and Shortz eras—died unexpectedly today at the age of 65. My first introduction to Merl was in the movie Wordplay, which I originally saw when I was ten. It was amazing watching him construct a puzzle by hand, and I couldn't wait to build one myself! 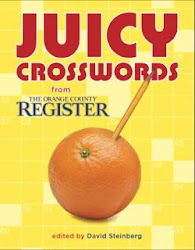 I presented what was probably my very first crossword as my fifth-grade "affinity project" and in the upper lefthand corner wrote: "Source of information: Wordplay movie." 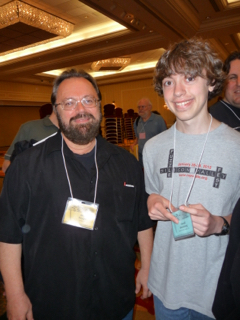 Four and a half years later, I met Merl in person at the 2012 American Crossword Puzzle Tournament, which was my first ACPT. He was so nice—even though he was a huge crossword celebrity, he was still excited to talk to me about everything crosswords! I remember buying one of Merl's books that year, which he inscribed "To David—No speed solving!" He made a mini-crossword out of BEST/WISHES and then graced the book with his signature. Merl's crossing of BEST and WISHES inspired me to autograph things in a similar way: by crossing DAVID and STEINBERG at the I. I've seen Merl at many other tournaments since then, and it's hard to envision a tournament without him. I always went up to Merl each time to tell him which crossings in his tournament puzzles gave me fits, and he would just laugh and tell me to keep solving! Merl and me at the 2012 ACPT. But perhaps my clearest memory of Merl was at a lunch we had when he came to give a talk Loyola Marymount University in Los Angeles. I had a Latin convention the day of his talk and so couldn't go see him (though luckily my parents went and recorded the entire thing for me! ), but we arranged to meet at Louise's Trattoria, one of his favorite restaurants in the Larchmont Village area. I was thrilled to have a chance to sit down with him and trade stories about the pre-Shortzian era, constructors, editors, and the future of crosswords. Always entertaining, Merl didn't pull any punches about anything and told me he hated the project's name, which he felt should have been something like "The Early New York Times Crossword Project"! It was an absolutely delightful couple of hours, and he told me to come have lunch with him again if I was ever in Florida—"any place, any time!" At the end of the meal, we had an anagram face-off—if my memory serves me correctly, we were pretty even, until I somehow managed to stump him at the end. On the way back to our cars, we passed a street called Lucerne, so I challenged Merl to anagram LUCERNE + A . . . and finally got him! That said, Merl is and always will be the anagram master, and I'm sure he would've stumped me many times over if we'd continued playing. Me and Merl at Louise's Trattoria in 2013. In addition to being an incredible wit, Merl was also one of the kindest people I've ever met. He went out of his way to congratulate me about several of my New York Times and Los Angeles Times crosswords—it was always such a thrill to receive an e-mail from him! I'm going to miss you a lot, Merl. And I hope wherever you are now has a large supply of graph paper!